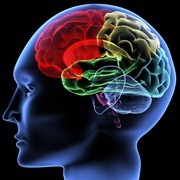 Throughout the ages people have been amazed and baffled by the complexities of the human brain. The entire lives of certain doctors and scientists have been devoted to learning the functioning of the brain. People enjoy discovering and learning new and amazing facts about this incredible organ present in the human body. In the following paragraphs 30 amazing facts about the brain are discussed including its development, physical attributes and functions etc. which you may find helpful. 1. Structure of the brain. The largest part of the brain is cerebrum, which forms 85% of the total weight of the brain. The brain tissue is divided into two parts, gray matter and white matter. The brain is 40% gray matter and 60% white matter. The gray matter consists of neurons, the brain cell, which transmits signals. The white matter consists of the axons and dendrites of the neurons, together with form a network by way of which signals are transmitted by the neurons. 2. Physical attributes of the brain. The human brain weighs approximately 3 lbs. Humans have the largest brain to body size as in humans 2% of total body weight is the brain. There are about 100 billion neurons present in the human brain. For each neuron there are approximately 1,000 to 10,000 synapses. Brain consists of 100,000 miles of blood vessels. The human brain consists of 75% water and approximately 60% fat making it the fattest organ in the body. 3. Half the neurons in babies are lost during birth. According to estimates half the neurons in babies are lost before they are born. This process also referred to as pruning helps in eliminating those neurons, which do receive insufficient input from other neurons. 4. Vocabulary is increased by baby talk. According to a study, infants whose mothers spoke to them frequently learned approximately 300 more words by the age of two years in comparison to infants whose mothers did not speak to them. 5. Songs of birds are similar to human speech. Similarities are found between songs of birds and human speech. Like humans, birds also learn a complex vocalization process early in life. They also imitate their parents to get these skills. 6. Blind Spot in the eye. The optic nerve leaves the retina in the form of a single bundle. This exit point is devoid of any receptor cells. This location is termed as a blind spot in each eye. We do not notice these spots and can only be detected by the ophthalmologist. 7. Measurements of the brain are revealing. EEG or electroencephalogram is a non-invasive procedure that is used to record even minor changes in the electrical activity of brain by placing surface electrodes on the scalp. EEG is quite useful in the study of sleep. 8. 20% of the blood in the body is used by the brain. Around 20% of the total blood from the heart gets pumped to the brain. Constant blood flow is needed in the brain in order to meet the heavy metabolic demands of the neurons. 9. 20% of all the oxygen breathed in is used by the brain. Though the brain is only 2% of total body weight, it utilized 20% of all the oxygen breathed in. Hence, for survival, a constant supply of oxygen is needed. Significant neural damage may occur even when there is a loss of oxygen supply for only 10 minutes. 10. Brain development of a child. It is found by measuring brain activity in children that during 6th to the 12th month of age, the prefrontal cortex developing at such a rate that it utilizes twice as much energy as used by an adult brain. This pace continues for the initial ten years of age in children. 11. Dividing the hemispheres. One possible treatment for patients suffering from severe epilepsy is commissurotomy, which involves transaction of the corpus callosum or a complete division of the two hemispheres. Due to this split, the patient cannot read the words presented to him at the far left and cannot name the objects hidden in the left hand. This shows hemispheric specialization. 12. Early brain growth. Brain growth during the early months of life is tremendous, during the first month, the synapses increase from 50 trillion to 1 quadrillion. 13. A sound is emitted by ears. Human ears emit soft sounds which can be heard by others occasionally but not by the individual himself. These sounds are thought to be due to central nervous system input. 14. Nearsightedness is caused by elongated eye. Nearsightedness or myopia is caused as a result of an elongate eye that specializes to see near objects efficiently. 15. Replies also yawn. Yawning also happens in birds, reptiles and in mammals. Yawning is controlled by neurotransmitters or the chemicals in the brain. 16. Eyes see inside out. The receptor cells which detect light are placed at the back of the retina behind multiple layers of cells. These support cells are translucent and the light passes through them and reaches the receptor cells. 17. Across retina image goes back and forth. Since receptors are placed at the back of the retina, an image has to actually pass through the retina three times: first backwards as a light to the receptor cells, then forwards as neural signals and then backwards as neural signals through the optic nerve to the brain. 18. The ‘little brain’. The human cerebellum is also known as the little brain and it has a weight of 150 grams. It is situated at the lower back of the brain and is responsible for maintaining walking, posture and performing coordinated movements. 19. Looking through a small hole. Individuals suffering from myopia or nearsightedness can read distant signs by looking via a small hole with one eye. The hole helps in focusing the light that is entering the eye and function of the eye’s own lens is replaced. 20. Miles of neurons. Human brain consists of one hundred billion neurons. This can make the distance between London to San Francisco. 21. Nasal neurons have the capacity to regenerate. Neurons present in the nose that are responsible for the sense of smell can regenerate the whole life. 22. Newborns can differentiate speech. A newborn as young as four days old can differentiate between the vowel sounds of his native language from a foreign language. 23. No pain in the brain. The brain does not show any sensation of pain, allowing neurosurgeons to probe different areas of the brain even when the patient is awake. 24. Peripheral night vision. Our peripheral vision is better at night than our straight on vision. This is due to the fact that the receptors, which respond to dim light, are situated in the retinal periphery. 25. Pupillary light reflex. Pupillary Light Reflex occurs when light is shone into any of the eye and it causes constriction of both the pupils. This reflex is used by doctors to determine if there is any disruption in the reflex pathway through the midbrain. 26. Child development is stimulated by reading aloud. Brain development is stimulated by reading aloud to children. 27. Seizures are not limited to epilepsy. According to estimates at least one episode of seizure will occur in one in 20 people during their lifetime. Hence, having a seizure does not in itself mean having epilepsy. 28. When eating is tearful. A damage to the fifth cranial nerve causes a neurological disorder in humans that results in tearing while eating due to the stimulation of lacrimation instead of salivation. 29. Reason we scratch an itch. According to a theory scratching stimulates the secretion of endorphins at the affected area, which are opiates that block the sensation of pain. 30. Seven digits are stored in working memory. Our working memory, which is a very short term memory, can store an average of a maximum of seven digits.